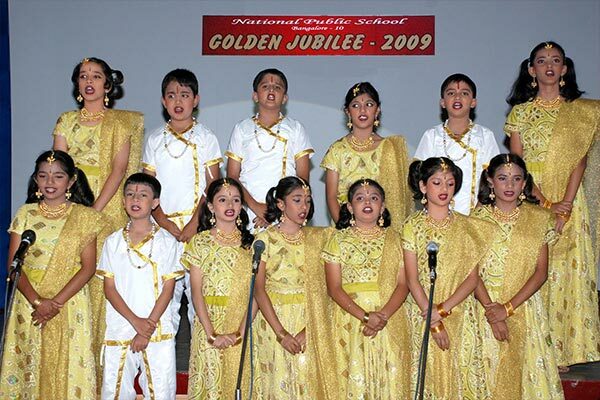 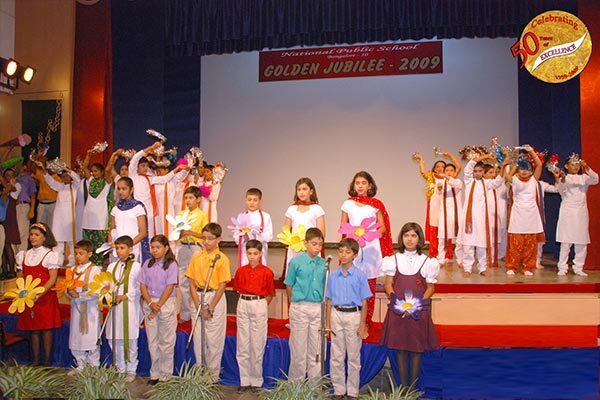 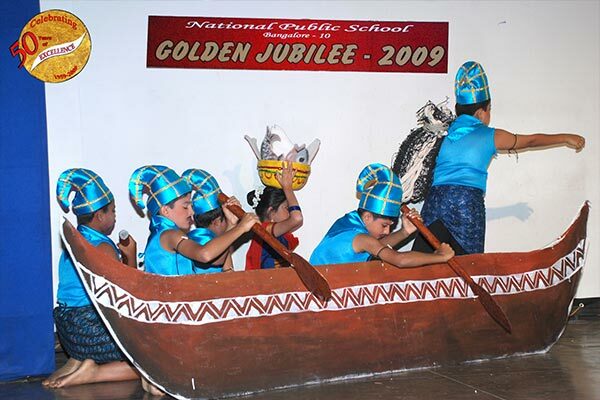 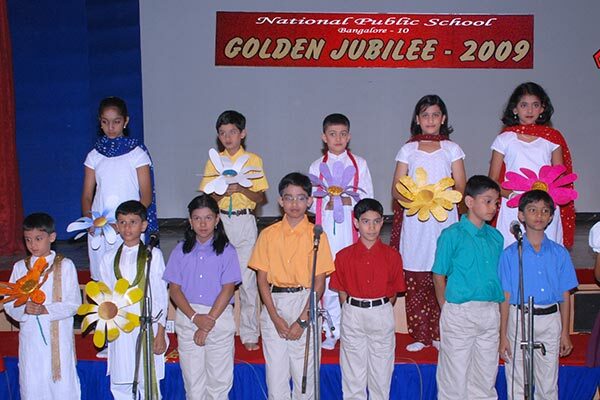 The Golden Jubilee Celebrations took off, with the theme of ‘Colors’, by the students of Grades V and VI. 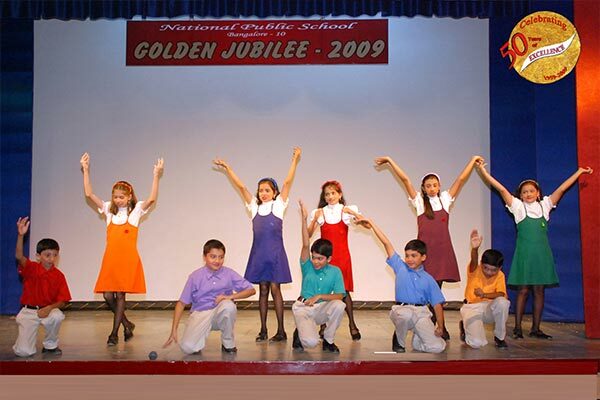 The children exhibited their theatre skills in the form of a play with a whiff of humor. 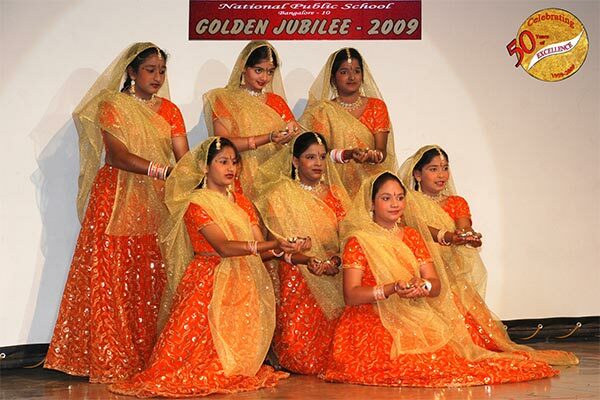 The dances were packed with fervor and gusto – the Dandiya dance symbolizing red, the tiger dance representing yellow, the rustic beats of the tribal dance and the robust Bhangra and Marathi dance that had all tapping their feet. 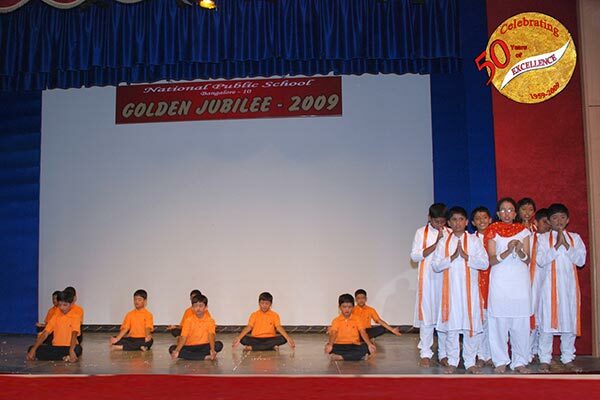 Yogic postures too were exhibited by the children with ease. 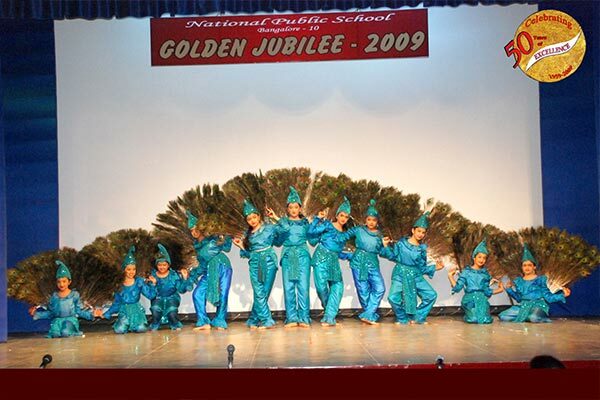 The diya dance was a real feast to the eye and was followed by the peacocks with their vivid feathers welcoming the monsoon rains. 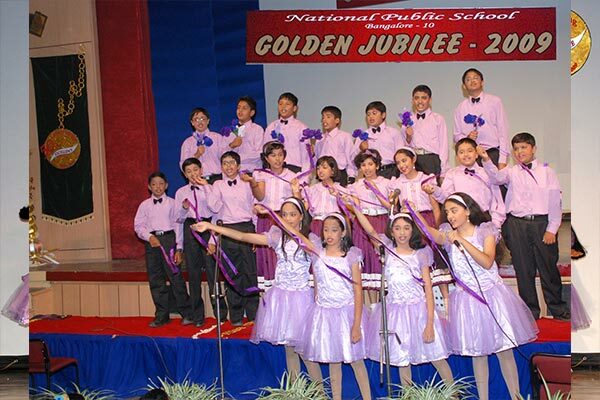 The ballet and dances with flowers added a touch of class to the show, not to forget the choir that had all enraptured. 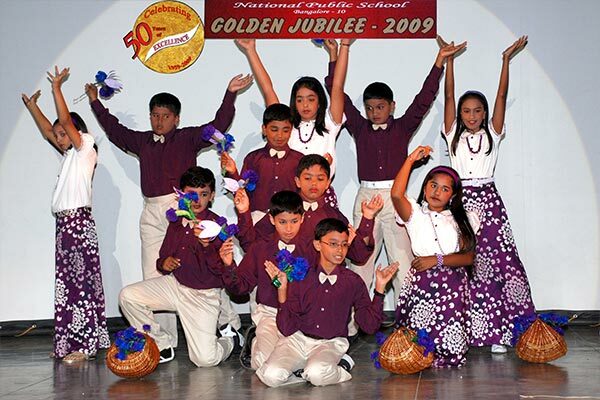 The dances and songs were intricately woven into the theme “Vibrant Hues”. 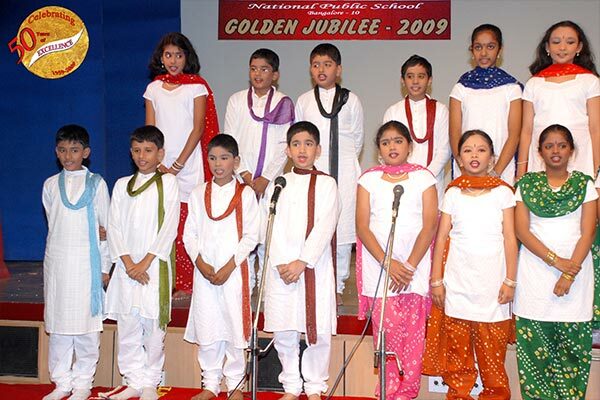 The vivacious performance by every child enthralled the audience who carried some gleeful memories back home.